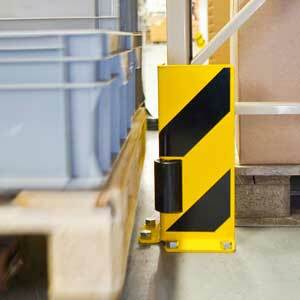 TRAFFIC-LINE pallet racking protectors - Right angle or U shape profiles. 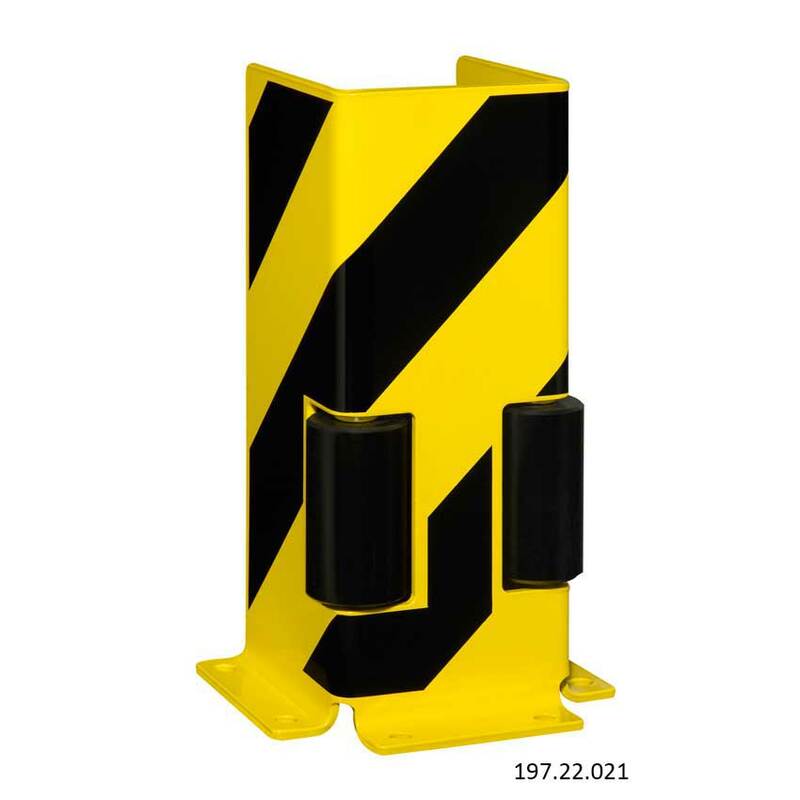 Shelving / racking systems are designed to store large amounts of valuable goods before they are distributed / placed on display. In the large industrial warehouses / distribution depots where this shelving / racking is usually present, its common place to find that fork lift trucks and manual transportation equipment such as pallet trucks are also in heavy use. Pallet racking protectors are not only used to provide protection for shelving / racking systems but they also help to protect moving machinery against damage caused by these collisions. These robust TRAFFIC-LINE pallet racking protectors have a 6mm steel gauge construction and are fitted with guide rollers to designed to provide further protection. 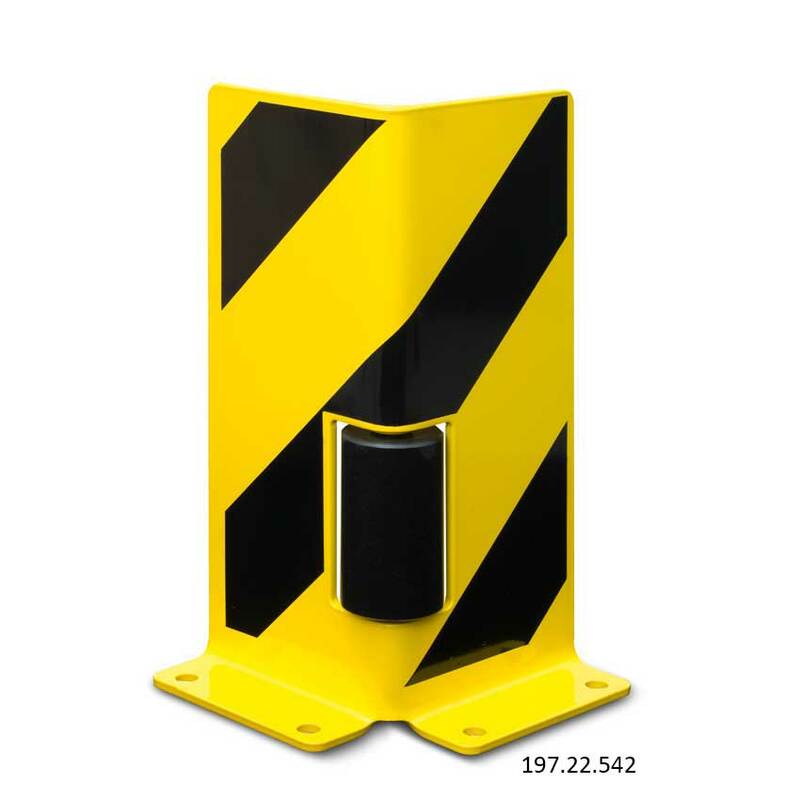 A highly visible yellow / black striped finish is applied to these surface mounted protectors ensuring that they stand out when placed near any uprights, expensive machinery or mezzanine supports. Two profiles are available, a right angle profile protector fitted with one guide roller or a U shape profile which is fitted with two guide rollers as standard. Both pallet racking protectors are extremely easy to install, requiring just a handful of fixings.